The major coalition formations in the country were trying to weaken the Left movement, which had always put forward an alternative to the Centre’s neo-liberal policies, CPI-M Polit Bureau member Sitaram Yechury said on Monday. Inaugurating a symposium on the `role of transitional governments’ as part of the International Congress on Kerala Studies here, Mr. Yechury said the three Left governments in India had delivered in key areas including decentralisation, the core of secular democracy. The peoples’ democratic fronts governing these states had formed governments of transitional character within the bourgeois system to help the process of achieving peoples’ democratic revolution. The Left governments were qualitatively different in character and had provided an alternative to the neo-liberal agenda followed by successive governments at the Centre, Mr. Yechury said. Stating that there were broadly four categories of transitional regimes, he said socialist formations had been put in place by overthrowing capitalism, progressive governments formed through peoples’ struggles as in Latin America, and regimes built on momentous struggles as in South Africa. 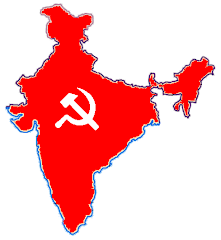 In India, the Left was proceeding to the path of socialism within the restraints of a bourgeois system. The one common feature of all these governments was that their anti-imperialist conduct and attempt to transcend capitalism in its advance to socialism. “This period is one of intense class struggle at the global level,” Mr. Yechury said. The success or failure of the transitional regimes depended on whether they would determine their economic policies or economics would determine their policies. Politics should determine the economic trajectory. Economic policies should be the means to achieve the political end, he said. China was building capitalism in a country having proletarian dictatorship and it was a different matter whether it would succeed or not in the effort, he said. Mr. Yechury said solidarity with countries having governments of transitional character was essential to develop a global anti-imperialist movement and humanity’s transition towards an exploitation-free society. Carlos Azugaray Treto (Professor, Center for Hemispheric and US Studies, University of Havana), Fuad Cassim (Advisor, Ministry of Finance, South Africa), Milena Ramirez (Ambassador of Venezuela) and Prabhat Patnaik (Vice-Chairman, Kerala State Planning Board) also spoke.